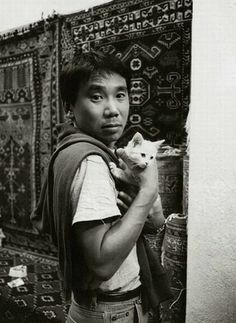 Last Spring Break, I read 8 novels: three of which were written by Haruki Murakami and two of them I fell in love with. I hope to continue my romance with Murakami this Summer as I explore new worlds, genuine stories, and uncanny narratives. 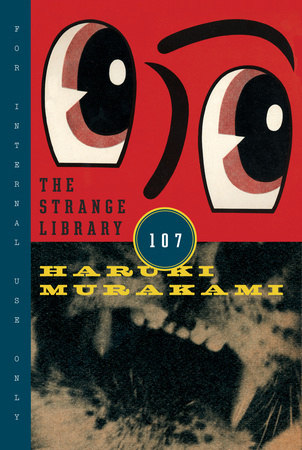 I had previously read Murakami, but just novellas (The Strange Library) and a short story (TV People). I liked him fine, but did not realize that there was still a whole new world left to explore. Below are my short reviews or takes on the novels I have read by him lately. I started with After Dark and was initially very underwhelmed. It was a story about a girl who read books and drank coffee at Denny’s… of course, afterwards an unimaginable story breaks in, but the writing fell flat for me. The characters were unlikeable and the plot was not as interesting as I expected it to be. I fell head over heels with this brilliant novel. This book consumed me from beginning to end so much that I stayed up until 3:00 am once to continue reading it. 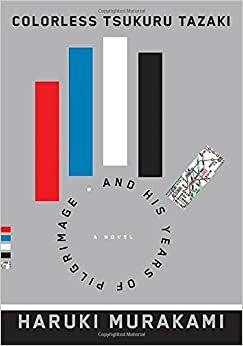 Murakami wrote a genuine, intelligent story about a relatively young man and the way with which he needed to deal with his past in order to move on with his life. It was an incredible mystery and love story (and not a boy meets girl type of love story). The characters all had their moment to shine and connect with our colorless protagonist. This is definitely a Murakami must-read! I was a little hesitant to read this novel because (a) I had just finished The Colorless Life of Tsukuri Tazaki and did not want to be disappointed,(b) it’s one of Murakami’s most read novels, and (c) I’m always wary to read something named after a Beatles song. Nonetheless, as soon as I started reading, it I was unable to stop myself. 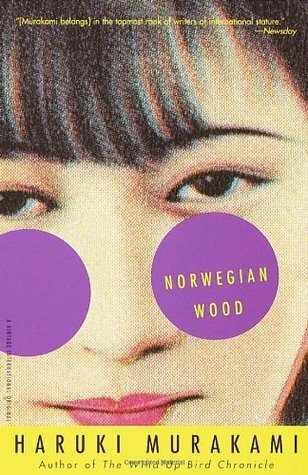 Murakami, yet again, writes an intelligent, beautiful story about genuine people and their lives. I understand why this novel is so popular! It is amazing! 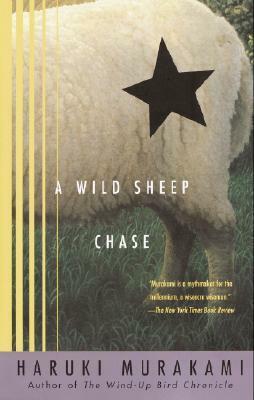 I was curious about this one because Murakami seems to be obsessed with sheep! He writes about the Sheep Man in The Strange Library and there are definitely a ton of sheep here. However, I was quite disappointed by it. I did not really enjoy this detectiveesque tale. Still, it was an interesting book. I read this one in a Media Fictions course last semester. We learned how writing is a form of media itself and how much the materiality of a book (i.e. the way it is presented to you) affected the way we read it. This version of The Strange Library was genuinely interesting. We have a four fold book and half of the story is told alongside strange images. It also looks like a library book that you’ve taken out, which makes it even more compelling. It was a very interesting experiment, but alas…I did not love the story. Sheep Alert: you will see the Sheep Man here. 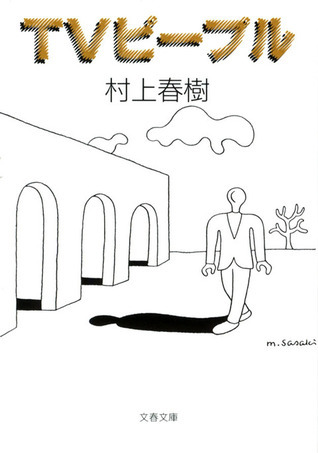 Ah…the weird surreal story that led me to the Murakami pathway. I taught this story in a Literature course at the university. It’s basically a very short read with a lot of weird things happening at the same time only to come to a very foreign, drawn out conclusion. Still…you crave more after you have finished. I have also just acquired 8 more of his books so I will let you know how I feel about them afterwards. With the end of the semester slowly approaching, I have been thinking a lot about my summer plans. After sadly getting rejected for a coveted German scholarship, I realized that I would have to spend the Summer in Madison. Lucky for me, Summers in Madison are magical. My friend Stephanie is getting married this May and she asked me to be her bridesmaid! 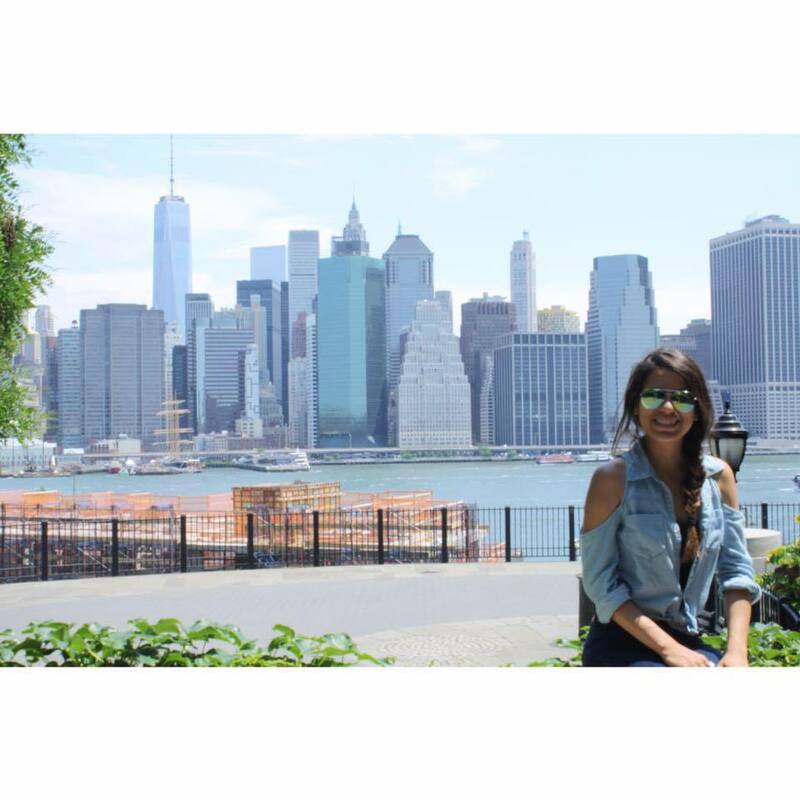 Last Summer, I had the opportunity to be the bridesmaid for another great friend in NJ so I extended my stay and traveled to NYC by myself and it was a w e s o m e. This year I hope to meet up with friends in DC, go sightseeing (Holocaust Museum! ), have a blast at this wedding, and return briefly to good old Madison. I will accompany the boyfriend to his college reunion right after the wedding (crazy, right?). I’m jumping from a plane to a long car ride to Indiana with the SO and our friend. The boys will probably be hogging the radio, but I can just sit back, read a novel, and relax! I’m looking forward to listening to two-hour long riddles, napping, and long philosophical conversations. After that, it will be great to meet the SO’s friends and spend some time in Indiana (never been!). As many of you may already know, I am obsessed with languages. A year ago I decided to take Latin to fulfill my Ancient Language requirement…such a mistake. I really wish I would have learned Ancient Greek instead. Nevertheless, there is always an opportunity to rectify mistakes. I will teach myself AG, continue to practice German (German Conversations with friends! ), and teach the boyfriend some Spanish. It will be interesting to see where things go during the Summer. I’m excited though! While I am still in the process of finding a good Summer job, I believe it will be an enriching experience regardless of what ends up happening. Finding Summer funding as a graduate student is a difficult task, but not impossible. Watch out world, I’ll be sending resumés and cover letters your way. Ah, my favorite time of the year is here. Every Summer I compile different reading lists with classics, contemporary novels, lit theory books, etc. I cannot wait to read more Murakami for fun, Poetry Reading Groups (translating Old English poem Spanish translations…I know) or to delve into some complex Heideggerian book. Oh, the art of sporting. Somehow I was convinced to join yet another Summer Sports League. It will be kickball this Summer. I always get slightly anxious about it because I really do not sports at all, but it always builds good community and is great for meeting new people. So…we’ll see. F i n a l l y…I will have the chance to see my friends more often, talk, and socialize! It will be nice to keep up with my friends (married, new, about to get married, etc). I cannot wait to happily balance alone time and friend time. This one gives me so much anxiety. If it all goes well, I will prelim Summer 2017, which means I have a year to prepare with my advisor. I will start making my reading lists this Summer and hopefully it will all happen (scary!!!). After my 21st birthday, every Summer has consisted of friends and loved ones getting married. Luckily, weddings are always a fun opportunity to get dressed up, dance, and have fun! These are all great, fun plans, but I want this Summer to be relaxing. I do not want to be stressed about any aspects of my life, but rather enjoy time off from school. I’ll let you know how it went! Last year, I went to a wedding on the East Coast and decided to make a fun trip out of it: wedding, Atlantic City, and the Big Apple. After the wedding, my cousin Kim and I decided to drive down from Edison to Atlantic City in New Jersey. We spent quality cousin time together, we gambled, had nice dinners, and explored the AC Boardwalk. However, the New York City trip was amazing because I just traveled solo and planned out the perfect 36 hours in the city. 7:00 pm: Kim drove me to the city and I got settled in the tiniest hotel room ever on the Upper West Side. 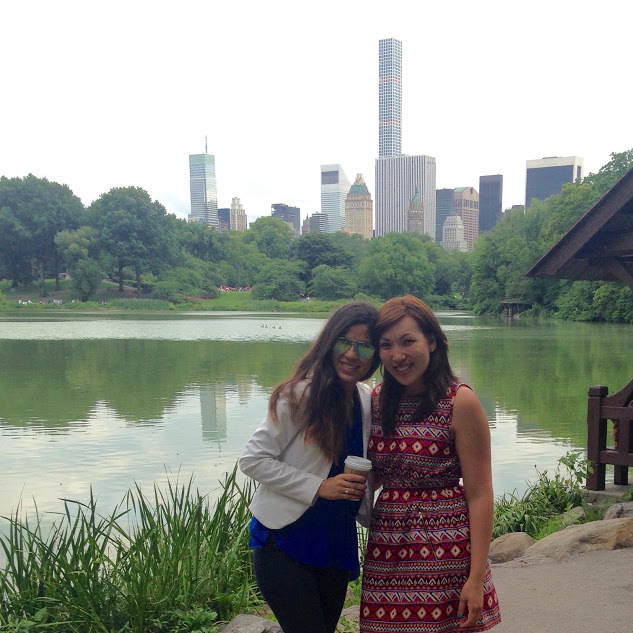 7:30 pm: We went for a quick stroll to Central Park with iced tea and coffee in our hands. The weather was gorgeous! We took pictures in front of the Museum of Natural History and recapped our weekend in Atlantic City (people can get a little crazy down there). 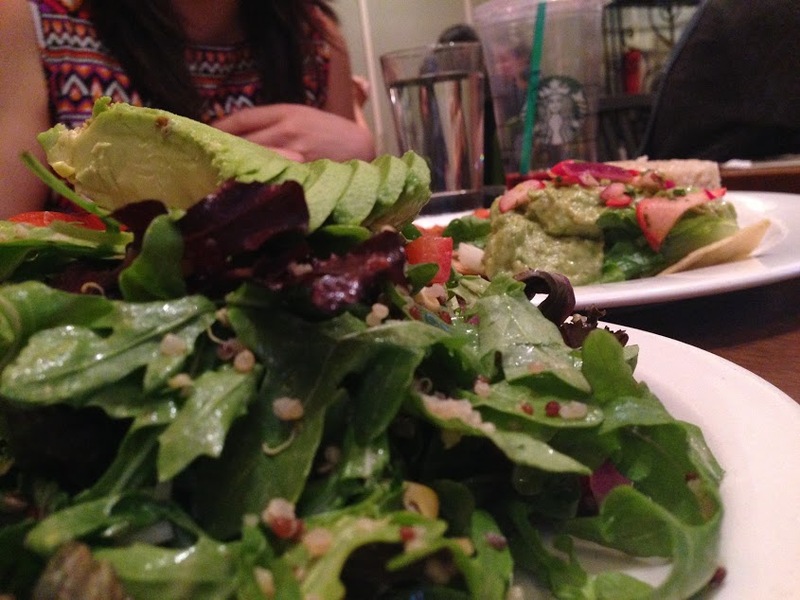 8:00 pm: We decided to be adventurous and have delicious vegan food at Peacefood Café on 460 Amsterdam Ave. I had the vegan chili and the fluffy quinoa salad. 8:45 pm: We kept walking up Amsterdam and stopped at Treat House for dessert. It was awesome and they had a lot of different types of marshmallow treats. 9:00 pm: My cousin drove back to her home outside the city and I spent the night doing some work for the Summer job I had at the time and anxiously waiting for my perfect NYC day. 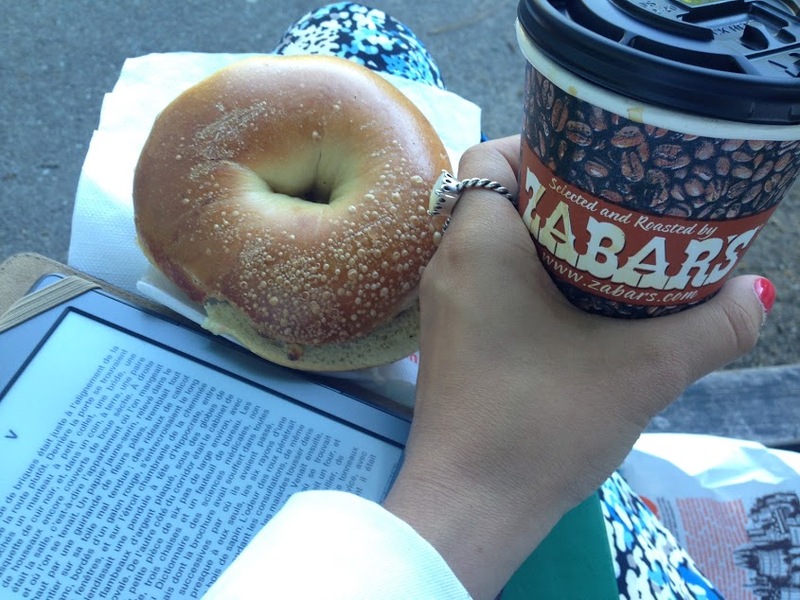 8:00 am: I walked down to Zabar’s (amazing Kosher food!) on Broadway and 80th to pick up a quick bagel and fresh coffee togo. Then, I moved over two blocks west to Riverside Park for some light reading, dog watching, and looking out at the Hudson River. I read some Madame Bovary in French and was ready to seize the day. 8:30 am: I headed over to Central Park West from Broadway to 72nd and saw the Dakota Building, where John Lennon used to live, but unfortunately it was under construction. 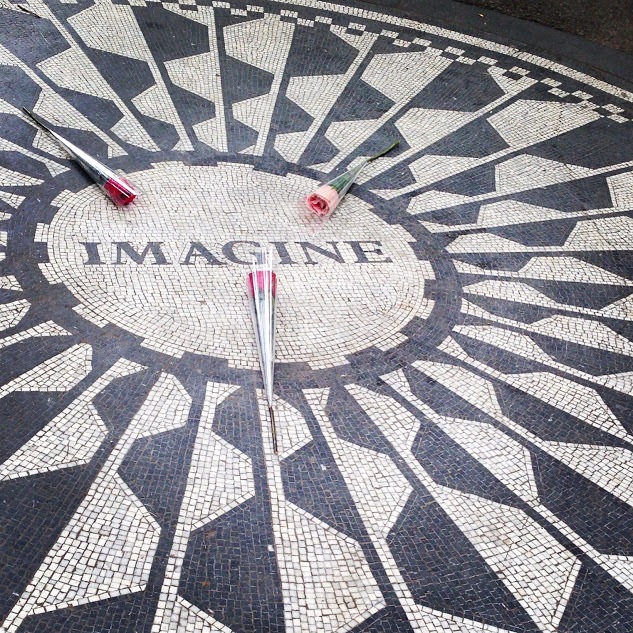 Then, I listened in on a German tour group at Strawberry Fields. Afterwards, I walked over to the Friends fountain, but as many of you know they didn’t actually film the opening credits there, but rather on a set in LA. Still, it was awesome. 9:00 am: MET Time! Little known fact for non locals, the Metropolitan Art Museum is donation-based meaning…that it is basically F R E E. However, I still made a small donation because I felt bad. 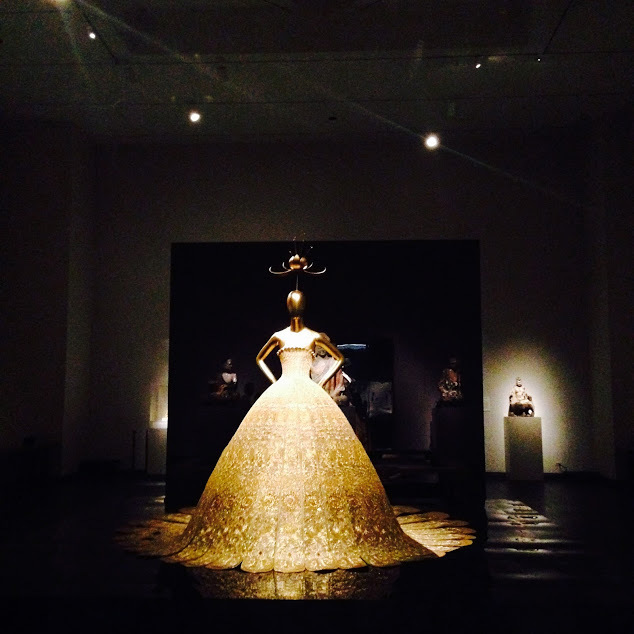 They had Anna Wintour’s China: Through the Looking Glass exhibition, which was fantastic! 10:45 am: After over a good hour and a half at the museum, I headed outside and sat on the steps of the MET with some iced tea in my hand. It was fantastic. Then I wandered off to the streets of the Upper East Side to take the subway on 86th and Lexington. Fun fact: I accidentally took the subway uptown instead of downtown, which was annoying but a good experience in itself. 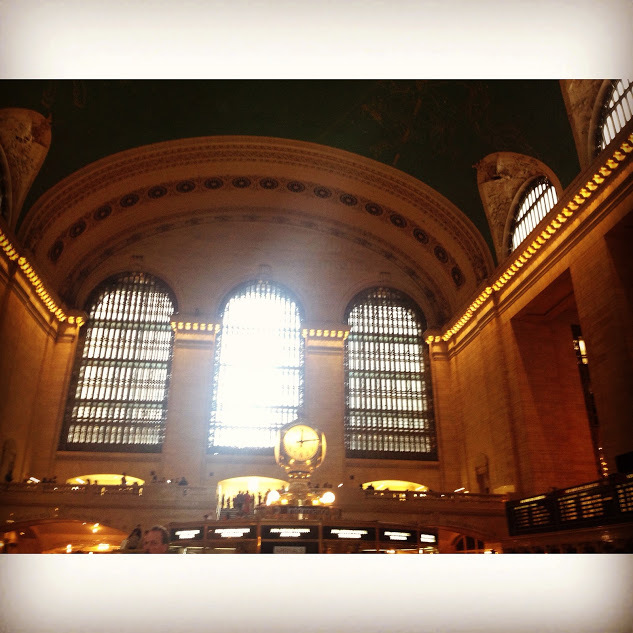 11:30 am: I made a quick stop at Grand Central Station to meet Kim because we were meeting my other cousin, Chris, for lunch. Grand Central is such a beautiful place (and free to just wander around there) right in the middle of the City so if you’re around Times Square make sure to make a pit stop there as well as the New York Public Library. After that, we took the subway down to Chelsea for lunch. 12:15 pm: My cousin Chris took us out to lunch at this amazing restaurant right off the Meatpacking Industry near where he works. We went to The Standard Grill on 843 Washington St and had an amazing lunch with homemade sorbet for dessert. Afterwards, we headed up to the High Line Park. This amazing new park has amazing views, great designs, and cool little funky shops. Since it was built recently, it wasn’t packed with tourists at all. 2:00 pm: Kim and I took the subway back Midtown and hung around Times Square, got some macaroons at Ladurée and hung around the 30 Rock area. We also stopped at the New York Public Library and had coffee in Bryant Park. It was amazing! 4:00 pm: I took the subway back to my temporary home and got ready for dinner with my college roommate who works as a fashion designer in the city. 5:30 pm: We decided to head over a couple of blocks up to the Columbia campus area. 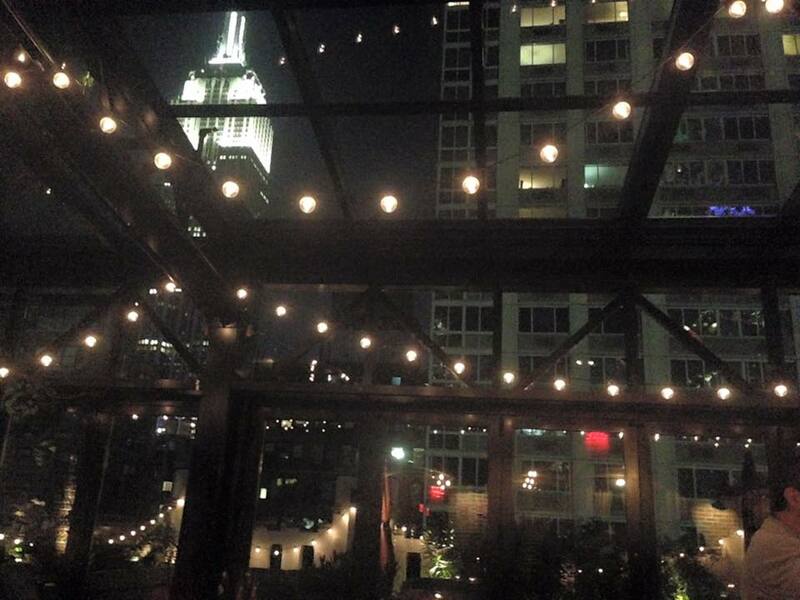 We found this nice, underrated rooftop bar/restaurant called The Heights. We had some of their amazing burritos and enjoyed the view of uptown NYC. 7:00 pm: We moved the party to Refinery Rooftop Midtown. The space was amazing with a good wine selection. After a long night, we called it a day and Ubered home. 8:00 am: Before checking out of my beautiful, tiny hotel room, I headed over to Café Lalo for some croissants, éclairs au chocolat, and coffee. Their coffee was amazing and gave me the energy for another great NYC day. 9:15 am: I made a pit stop at The Strand Bookstore to pick up some nice limited edition Shakespeare comedies. This is a great store and I would definitely recommend it to anyone near this touristy area. 10:45 am: I met my college roommate again at her place in Brooklyn Heights. 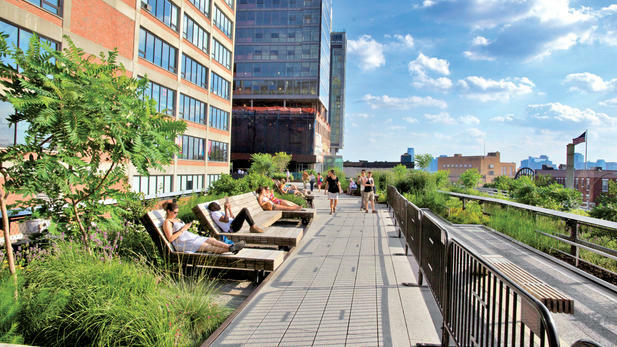 We headed over to the Brooklyn Promenade for a nice stroll under the sun. 12:00 pm: Then, we had amazing lobster rolls in DUMBO until it was time to head over to the airport. My NYC Trip was an amazing opportunity to catch up with friends and family. I would definitely redo it again and would recommend all of the places I visited to anyone. I will also be posting more Midwest spots to visit from trips I made last year and I will keep writing about the places I will visit this year. Next Trip: DC! Can’t wait! PS. This was written under a procrastination caffeine haze!